A new bill known as Senate 649 has now come into place in California, making it easier for telecommunications companies to rent space for ‘small cell’ transmitters. Now , 50,000 new cellular antennas will be installed on public buildings and utility poles in Californian neighbourhoods – creating a tremendous risk for public health. These cellular antennas emit radiation and electromagnetic frequencies that can be damaging for humans – even potentially promoting cancer. Other concerns about cell phone radiation were raised in 2015 by two Southern California firefighter unions. Concerns were raised and it was agreed to exempt all fire stations in the state from a related bill that year, streamlining the time involved for wireless telecommunications system permits. Many Californians are also worried about the health risks that the placement of these antennas will have, particularly on their children. Scientists state that there is consensus in the community that wireless antennas do not expose the public to undue radiation risks and safety limits adopted by the Federal Communications Commission. 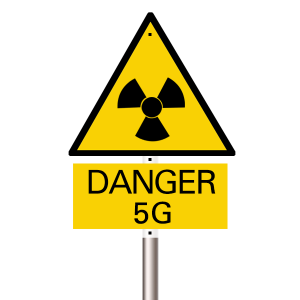 Yet at least 230 leading international electromagnetic field scientists and health experts from 41 nations have reviewed thousands of peer-reviewed and published studies on the health risks of wireless radiation exposure and all disagree. In 2015 they issued an appeal to the United Nations and all member states encouraging the World Health Organisation to develop more protective electromagnetic field guidelines. This encouraged precautionary measures and was designed to educate the public about health risks – especially for children and those in fetal development. Now in the UK both Surrey and Sussex Universities are trialing this new technology that has not been passed as safe. It has a much greater risk to health because of it being in closer proximity to houses and animals.